Silver is the color of emotional, sensitive and mysterious . Students wear silver graduation cords for the same! What makes our Honor Cords special? Our cords are hand made. Each end is knotted and finished with a brilliant, soft stranded tassel, giving it a fuller and thicker look. We have cords in any color desired. No quantity is to big, nor to small. Silver is the color of emotional, sensitive and mysterious . Students wear silver graduation cords for the same! 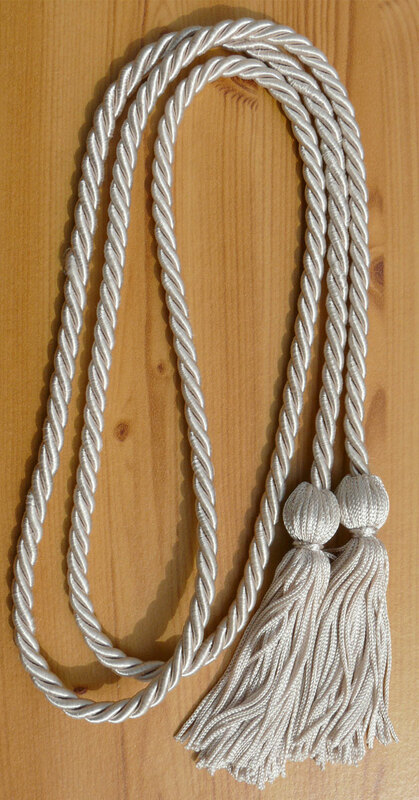 Customer Reviews on "Silver Graduation Cords"
Order shipped on-time. Received it faster & cheaper from other Honor Cords Store. Never face a problem with This store to Order Honor Cords. Competitive prices, always in stock and shipping is fast. Overall terrific experience, highly recommended. We ordered 30 graduation Honor Cords. The Tassels are wonderful. I will contact you again next year for another order! Write you own review on "Silver Graduation Cords"